The proudest form of the game, Test Cricket, has a great history. There are certain milestones in the longest form of the game which can be breached only by the best of bests. If scoring 10,000 runs is a benchmark for greatness in batting, then bagging 500 wickets is its equivalent in bowling. In these 140 years, only six cricketers have taken 500+ Test wickets. Recently, James Anderson became the sixth bowler to enter this great club. Below is the list of cricketers who hold this proud record. The coming years will possibly witness a few new entrants entering into this club. In this article, we are going to see the top 5 contenders who can possibly join this elite club in the next few years. One of the best bowlers of the 21st century has returned to the game after a one-year injury lay-off. Steyn has not played a game since crashing down with a stress fracture on his right shoulder on 4th of November, 2016. Currently, he is 10th in the list of all-time Test wicket-takers and just needs 83 more wickets to enter this legendary club of 500+ wicket-takers. Dale Steyn has a strike-rate of 41.4 which is considerably better than any of the above-listed legends. If we project his strike-rate, all he needs is just 570 overs to reach the milestone. 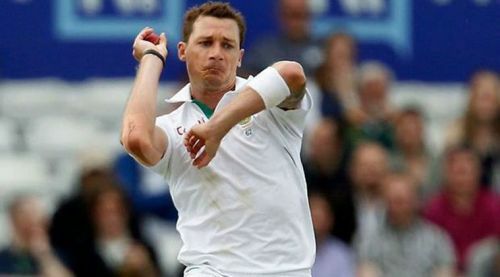 Steyn is 34-year old and he will be hoping for an injury-free couple of seasons. Retiring with 500+ Test wickets will be appropriate for his celebrated International career. The prediction is that the South African stalwart will cross the 500 wicket mark by 2019.